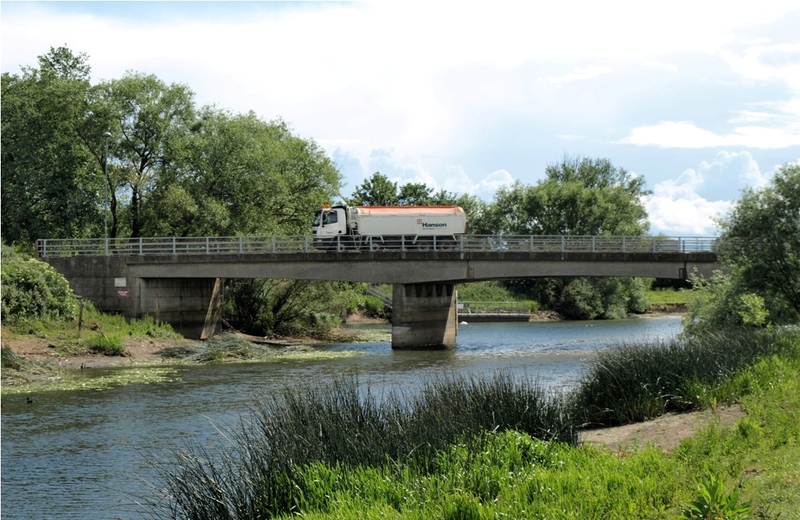 Earith in Cambridgeshire is where the Ouse Washes begin, where two artificial rivers, the Old and New Bedford Rivers, dug in the 17th century, begin their 21 mile journey taking the waters of the Bedford Ouse to Salters Lode in Norfolk. Two very different rivers with very different functions, yet working together as part of a grand plan. Well, actually it was "plan B". I'm Eddy Edwards, and my project is to explain what the Ouse Washes are, and how they are managed to provide drainage, flood protection, navigation, irrigation, conservation and recreation. And along the way I'll allow myself a little digression now and then to relate some of lesser know activities that took place in or around the them, and explore some features away from the Washes which have had some effect on, or been effected by, The Washes. If visted before, please "refresh"" page to see latest version. I could have made this just a desk-top exercise, re-hashing other peoples work and copying their photos; but to help me understand what is so much more complex than I first imagined, and to set myself a physical challenge too, I decided to walk the length and breadth of the Washes and record, photograph and explain every man-made structure in and immediately surrounding them. And there's no better place to start my journey than here in Earith where the rivers and Washes begin theirs. The Great Ouse River, at this point known as the Bedford Ouse, here flowing from west to east, or left to right. The normal course is via the New Bedford River (also known as the Hundred Foot River), shown on the right heading north-east. 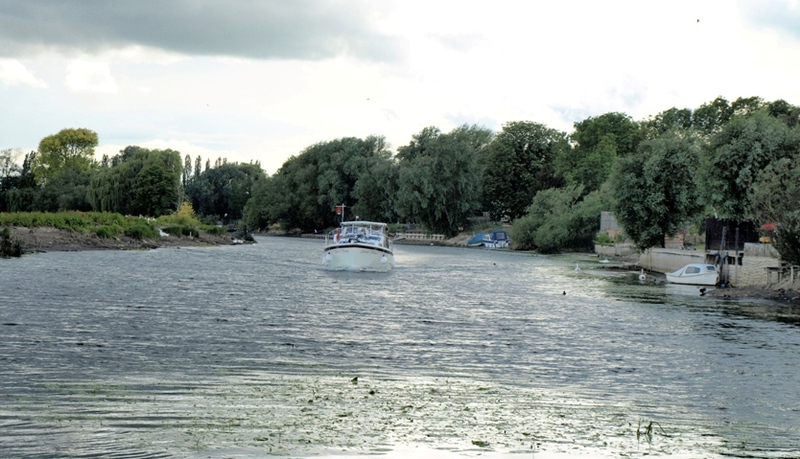 Some water does also flow south-east through Hermitage Lock into the old course of the Ouse, now known as the West River, or Old West River. More on that later. In times of very heavy flows from upstream, water is diverted into the Old Bedford River via Earith Sluice on the left of the photo. The sluice operates automatically when the river level reaches a pre-determined figure. I am told that if that didn't happen, the New Bedford River, being much narrower than the Bedford Ouse, would not be able to carry the extra flow, and would act as a dam so that upstream the Ouse would pour over its banks, flooding land and properties. The Old and New Bedford Rivers run more or less parallel north east for about 20-21 miles, and the land between them is the flood plain known as the Ouse Washes. 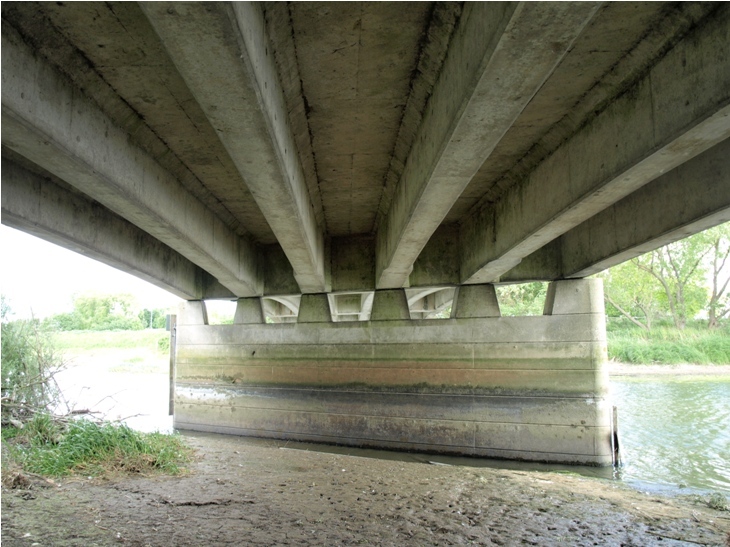 When flows from the Bedford Ouse are too much for both Old and New Bedford Rivers to cope with, water in the Old Bedford River can flow over its low east bank into the Washes, where the water can be held until the river levels return to normal. My home page explains why I started this website and the history & management page explains the creation of the Ouse Washes and management past & present. If you've by-passed those pages, may I suggest you go there now, then pop back here to join me on my trek. One last point before we set off. 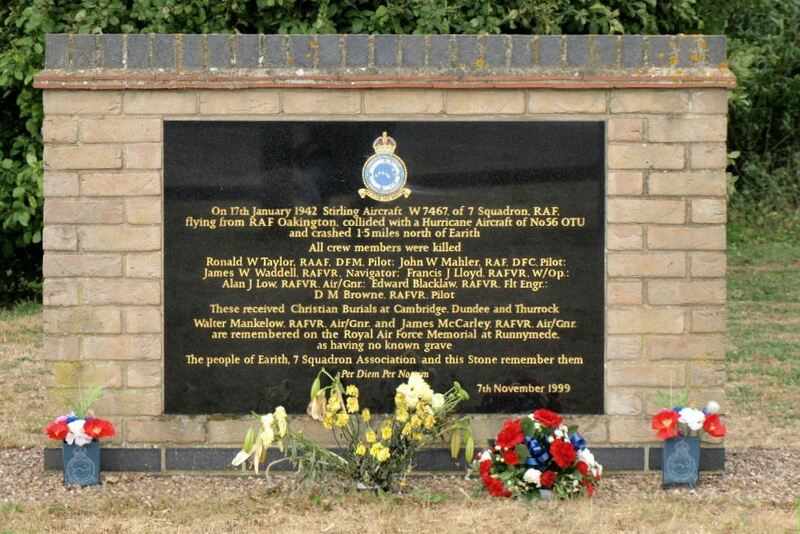 This is NOT a page about the parish and community of Earith. If that's what you wanted, you'll find links at the bottom of the page. Seen from downstream, in the Old Bedford River which was virtually dry at the time. Note that the centre gate has been removed and replaced with temporary damboards whilst the gate is being repaired. 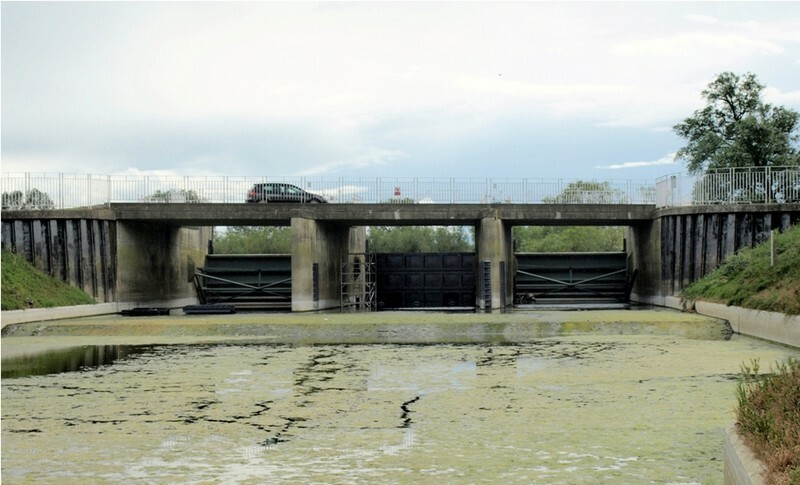 This sluice is the third built at this spot - see my Earith Sluice page for details, photos and operation details. The concrete bridge below, seen here in 2011, at low tide and low upland flow due to drought. The Bedford Ouse is the other side of the bridge, flowing from the right. An earlier bridge said to have been erected in 1826 has been variously described as cast iron, a girder bridge and a suspension bridge. A railway line from Ely to Saint Ives once passed very close to Hermitage Lock. 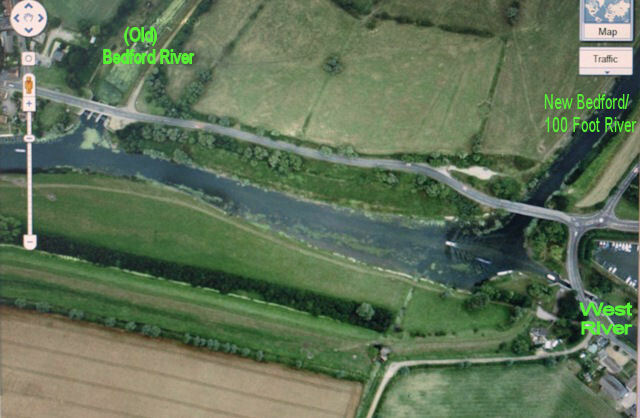 It is shown on my 1950 1" OS map sheet 135, running parallel to and just to the east of the B1381, then across the A1123 where Hermitage Marina now is, over the Old West River and the B1050 just below the lock, then curving across the fields south of the Great Ouse and over the river to Bluntisham. The station was on the south side of the A1123 on the site of the marina. 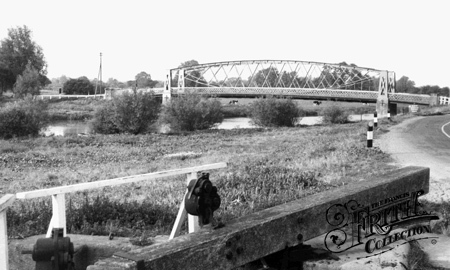 I haven't yet looked for any traces of the line or the bridges, nor have I seen any photos of them. If you can help, please contact me. The line opened in May 1878 and closed in October1958. If you want to learn more, Nick Catford has posted a lot of information about the line, its history and useage on the Disused Stations.org, website.